Winter is a time when people prefer to stay indoors with loved ones. This prolonged and often close contact makes it easier for infections to spread around and is the reason why winter sees a rise in chest infections. 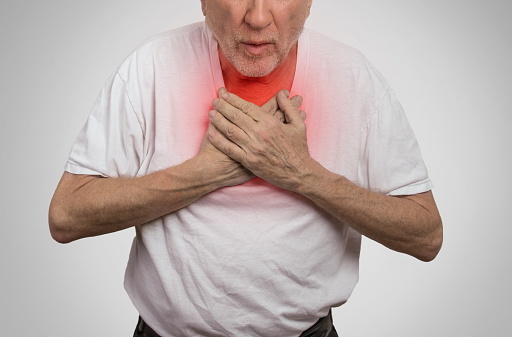 These ailments can range from a mild cold to disruptive bronchitis and dangerous pneumonia, but all are chest infections since they can affect the lungs, airway, or both. Knowing what the signs of different chest infections are and what to do about them is a useful way to help keep on top of your health during the winter season. Although there are various bacteria and viruses that can be responsible for a chest infection, most cases are divided into one of two categories. The first is acute bronchitis, which means the infection is in the larger airways. “Acute,” by the way, is used to distinguish infection-caused bronchitis from more chronic causes. The second type is pneumonia, which means the infection is in the lungs—specifically the air sacs (alveoli). Of the two types, acute bronchitis is more common. Acute bronchitis is most often caused by a viral infection, and pneumonia most often has a bacterial culprit. Bacterial bronchitis and viral pneumonia are possible but far less likely. Another possible-but-rare cause is a fungal infection from inhaling spores. Getting more specific, the viruses responsible for acute bronchitis are often the same as the ones behind the common cold or flu. For pneumonia, the most common cause in the United States is the Streptococcus pneumoniae bacteria. Many signs of a chest infection can overlap. Both acute bronchitis and pneumonia can initially appear as flu or cold symptoms, for instance. When the two conditions share a symptom, the one caused by pneumonia will usually be worse. The primary symptom of acute bronchitis is a cough that can last for several weeks, or in some cases, even months. The cough may also be “wet” and produce mucus. Other symptoms include wheezing, a low fever and chills, sore throat, headaches, congested nose and sinuses, tight feeling in the chest, breathlessness or difficulty catching your breath, and general body aches. In adults over age 65, pneumonia can also cause a drop in body temperature, confusion, or changes in the patient’s mental state. When looking at newborns or infants, it is possible for few or no symptoms to be showing. Vomiting, fever, cough, restlessness or tiredness, and difficulty breathing and eating are the most common symptoms in this young age group. The first thing to know when trying to get rid of a chest infection is to make sure you have a diagnosis from your doctor. Not only is it important to make sure you know which type of chest infection you have, but an evaluation can rule out other possible causes that may not be directly related to an infection. For mild cases, chest infection treatment can be taken care of at home without needing admittance to the hospital. Make sure to get plenty of rest, ideally with your head elevated to help make breathing easier. Drinking lots of fluids helps avoid dehydration and also serves to thin out any mucus that may be causing you congestion. A humidifier or inhaling steam can help with this as well. Another part of most chest infection treatments is managing the inevitable aches and pains that the ailments can cause. Warm, soothing drinks like tea with honey and lemon can help a sore throat. Over-the-counter medications like ibuprofen should also be considered when trying to manage headaches, body pains, or fevers. Incidentally, you should avoid the use of cough medicine when dealing with a chest infection. This is because coughing, as annoying as it can be, works to remove phlegm from your lungs and airway. Using a cough suppressant means all that phlegm—and your infection—sticks around longer. Although these treatments will work for both acute bronchitis and pneumonia, there is one key point on which they differ: antibiotics. As mentioned, most chest infections are from bronchitis and most cases of bronchitis are from viruses. Antibiotics do nothing against viral infections. Only take antibiotics if you have been diagnosed with pneumonia and they are prescribed by your doctor.